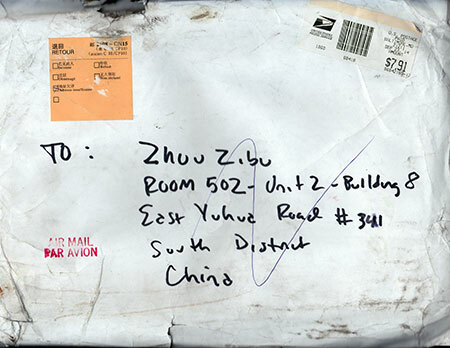 A package I sent to China last September just came back to me. What’s remarkable is not the fact that it has been in the mails–going to and from–for six months but, rather, that it came back at all. I didn’t imagine anything that went to China would ever come out again. China, in my imagination, is an impossible land, vast and overpopulated and corrupt and, at its core, ancient in bizarre ways. I know, this view betrays my ignorance. And maybe I’m being unreasonable when I admit that China’s ravenous, desperate appetite scares me. But here’s the thing: China is too big, and too important, to ignore. It used to be that we could mock China because everything cheap and tawdry was made there–the grab bag trinkets and rock-bottom knock-offs you’d find at the Dollar Store. But now EVERYTHING is made in China, the really good stuff as well as the really bad stuff. What has changed? China has changed. It’s entered the world market as a serious player. By “serious,” I mean responsive and responsible. 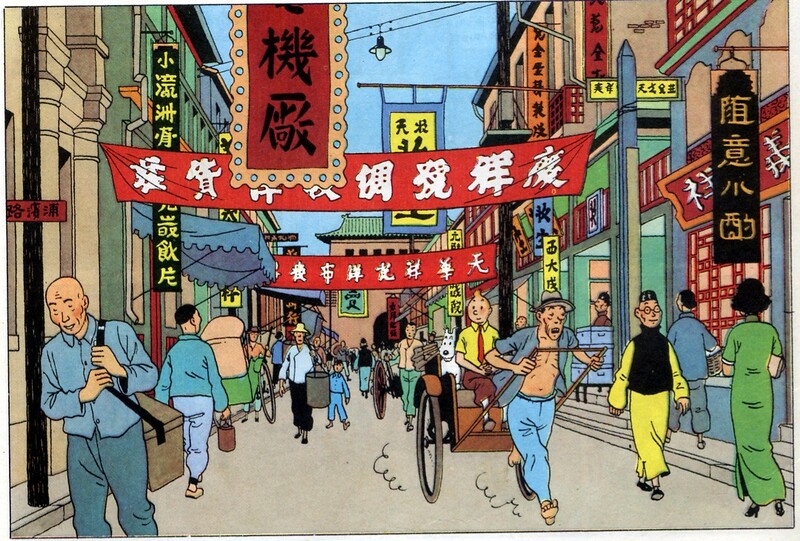 Yes, I know, it has a long way to go and many scandals and scams to leave behind, but check out China’s equivalent of Amazon: it’s called Ali Baba and it has everything for sale, much of it high quality and all of it cheaper by 20-50% than American name brands. Ironically, those American brands are ALL made in China, so when you “buy American,” you end up paying for the brand name and maybe–maybe–better quality control. All of this is to say that, while I once shunned trade with China, I am now seeking out Chinese products–everything from backpacks to camera tripods. I am finding many Chinese vendors on eBay, for example. And that’s where the returned package comes from. An eBay vendor from China sold me some sketches that were supposed to be “original” but were, instead, just prints. I asked for a refund and eBay backed me up. So, after getting my refund, I sent back the prints. But the seller has moved, apparently. Why didn’t my package remain in China? 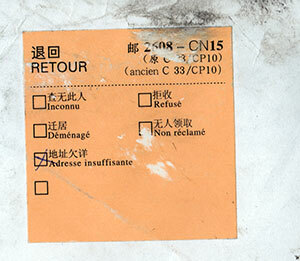 Why didn’t the Chinese mail carrier simply pocket the package when he/she saw that the recipient had vanished? The most obvious answer is that the mail carrier is doing well enough without stealing the mail he’s supposed to deliver. Which points to the fact that the Chinese middle class is growing rapidly. If we’re watching the bright, sunny day of Chinese prosperity, it’s probably about 10 AM for that nation. Let’s say noon will be their peak. And then the Chinese sun will sink toward the horizon. America’s sun, by contrast, is probably at about 3:00 PM. No nation basks in the high-noon of prosperity for long. After China, India may be next in line. The Indians are smart, ambitious people. Already I’m getting cold-call emails from Indian entrepreneurs asking if I need programmers to help me maximize the SEOs for my websites or crunch big-data for me. There will come a time, I suspect, when I just might need that kind of help.